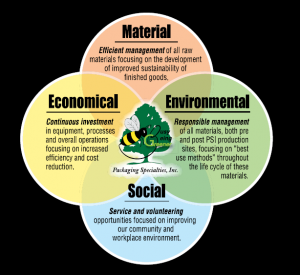 Packaging Specialties, Inc is dedicated to providing sustainable solutions that are fiscally and environmentally responsible. 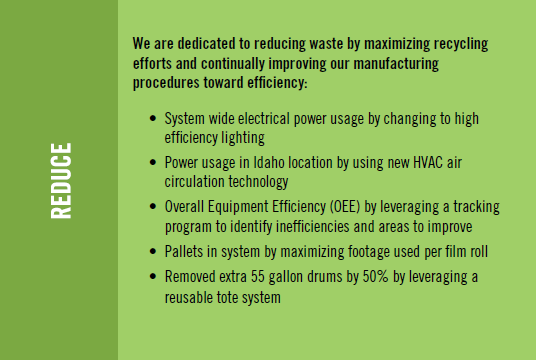 Our vision is to efficiently and responsibly manage all current and future resources, assets and influence to bring beneficial products to our customers, community and environment. We utilize the 3Rs in the 4-quadrants of our business to deliver on this vision.